Your street-level view of the Hulk's invasion! The Green Goliath has returned to Earth on a collision course with some of Marvel's mightiest heroes. So what does that mean for the ordinary people caught in the crossfire? Ben Urich and Sally Floyd, fresh from their appearance in Civil War: Front Line, pound the pavement to uncover the story behind the story! Plus: Who wants our tireless reporters to take down J. Jonah Jameson, and how do they want them to do it? Grab your press pass, and join the Civil War: Front Line team of writer Paul Jenkins and artist Ramon Bachs as they take you to the middle of the action. 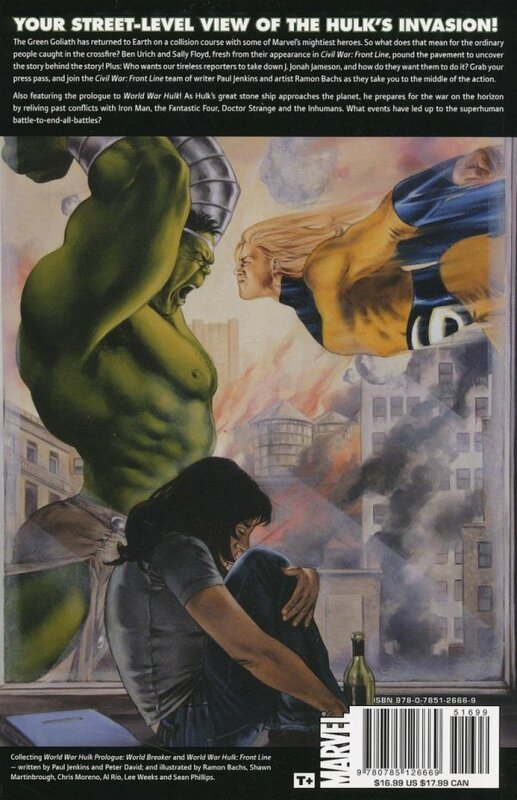 Also featuring the Prologue to World War Hulk! 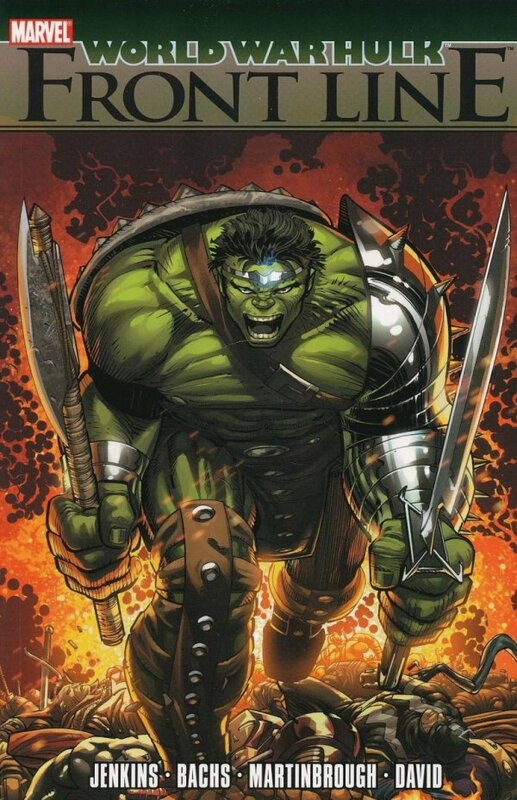 As Hulk's great stone ship approaches the planet, he prepares for the war on the horizon by reliving past conflicts with Iron Man, the Fantastic Four, Doctor Strange and the Inhumans.